Submitted by theorangefairy on April 2, 2015 – 11:08am. The afternoon before I mixed 1 oz 100% whole wheat starter, 4 oz water, and 4 oz atta flour. After a few hours I placed it in the fridge overnight. In the morning I mixed 8.8 oz all-purpose flour, 4.8 oz atta flour, and 9.3 oz water and let it autolyze for 30 minutes. Then I added the levain and kneaded by hand (no mixer) and added the salt after 10 minutes of kneading. At this stage the dough wasn’t very stretchy, but I figured it must be the atta flour and thought nothing of it. 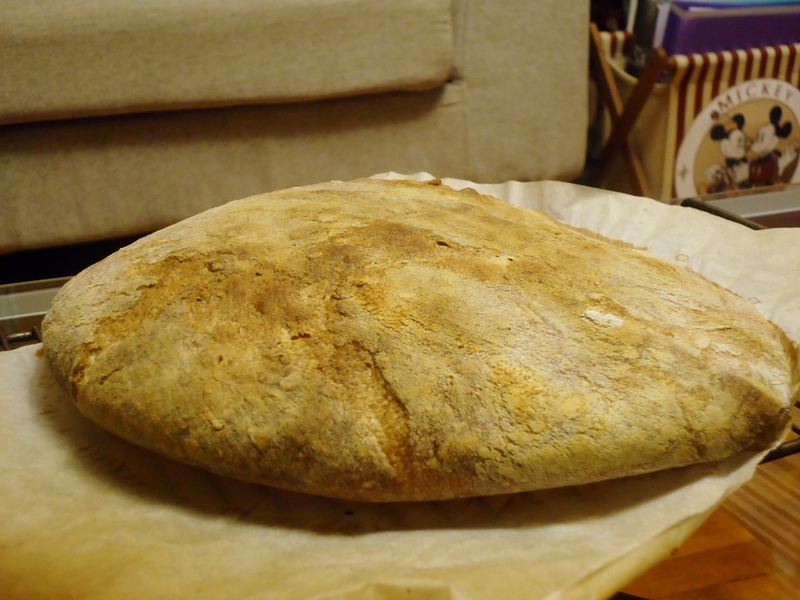 After a few stretch and folds I let the dough sit at room temperature (about 27C) for 6 hours. I shaped it in the late afternoon and plopped it directly into a colander lined with a handkerchief. I probably should I left it in the fridge or baked it earlier in the evening, but at around 10 pm I checked the dough and it was kind of bubbly on top. I was afraid it might have overproofed and decided to bake it immediately. What happened next was that the dough just spread like a giant pancake after I tipped it out of the colander onto the parchment-lined stone (I just use a big slab of marble?). I didn’t score it because it looked impossible to do so. I also used my fingers to sprinkle water in the general direction of the oven floor. In the end it baked okay and rose a tiny bit. but I wasn’t very impressed with the shape. My mom isn’t a fan of the sour flavour, but everyone agreed the crust seemed my best so far. 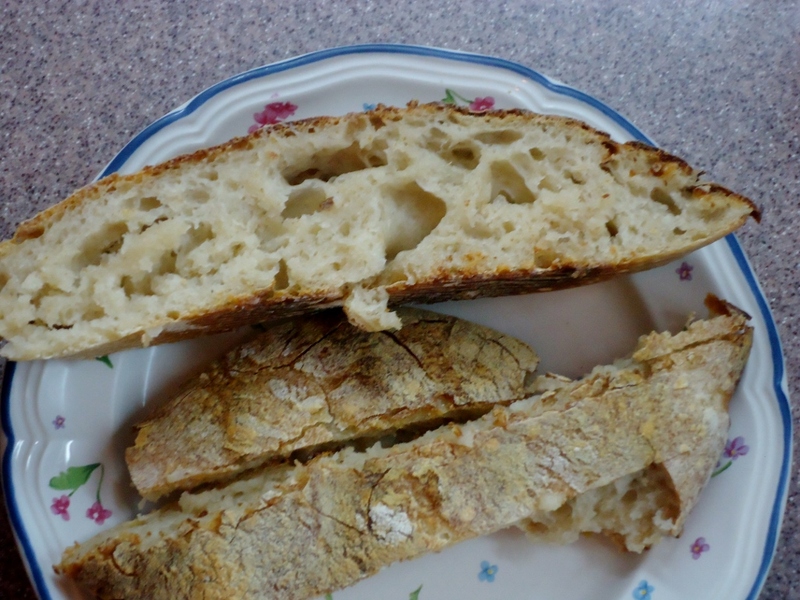 Here are some pictures of today’s bread. 1. How do I stop the bread from spreading? Or do I just really need a dutch oven for higher hydration doughs? 2. Is there any way of reducing the sourness of the starter and the bread? 3. Is baking with atta flour beyond the abilities of a newbie like me? 4. My loaf-tin breads (all sourdough, 70-72% hydration) have generally worked out well but this attempt to go without the loaf tin and using a different flour has been a humbling failure. Is there anything that I am doing wrong? Many thanks in advance for the help and advice!